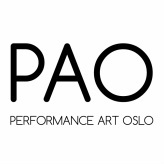 Documentation of PAO Festival 2015 available here!! Please notice that time in performance art is unexpected, the programme might be shorter or a bit longer! Lykourgos Porfyris, Kachun Lay, Anne Cecilie Caroline Brunborg Lie, Ruth Biene, Liv Marianne Noven, Gabriela Gonçalves, Ronald Bal, Katarina Henriksen, Aksel Norreen Hauklien, Merel Stolker, Courtney Grant, Kristin Nango and Sara Schwienbacher. We will show a slide show by performance photographer Pietro Pellini (DE) and three video programs which explore the various ways artists document and use video in their performance work. Curated by Kjetil Skøien (NO) with documentation of interactive performances, MUU (FI) presenting Performance Voyage 5 and Kunstbanken in Hamar showing video documentation from their festival in October 2015.